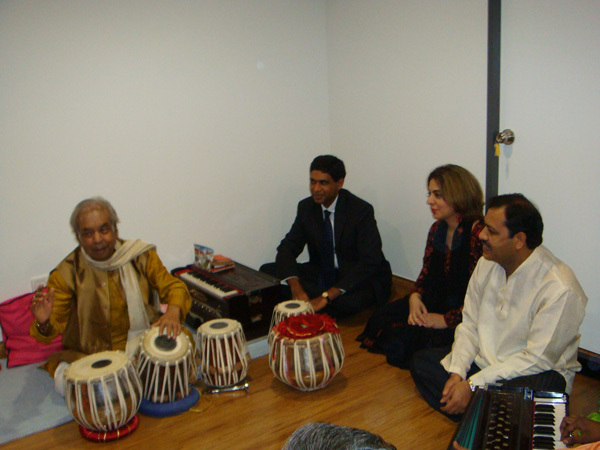 Noted Kathak exponent and guru, Pandit Birju Maharaj visited the Indian Cultural Centre on 4 December 2009. 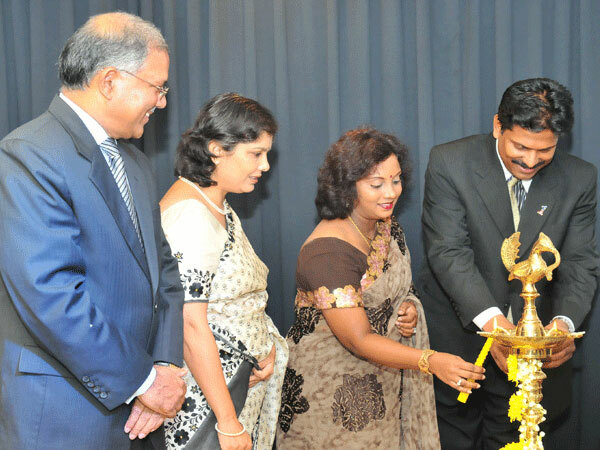 The new Indian Cultural Centre (ICC) was opened at CapSquare in the heart of Kuala Lumpur, by Senator A. Kohilan Pillay, Deputy Minister of Foreign Affairs, on 04 November 2009. 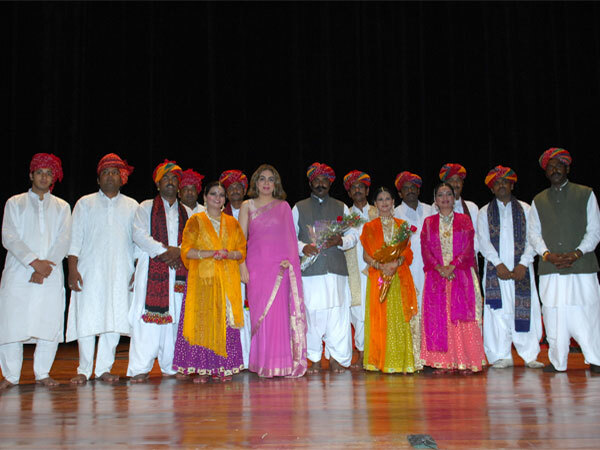 A Mini Festival of India was held in Malaysia from 5th to 7th November, 2009. As part of the festival, Kathak dance and Maganiyar folk music troupes from India, sponsored by the Department of Culture, performed at KLPac in Kuala Lumpur on 5th November 2009 and Universiti Sains Malaysia in Penang on 7th November 2009. Hon'ble Chief Minister of Sabah H.E. Datuk Seri Panglima Musa Aman with High Commissioner, H.E. 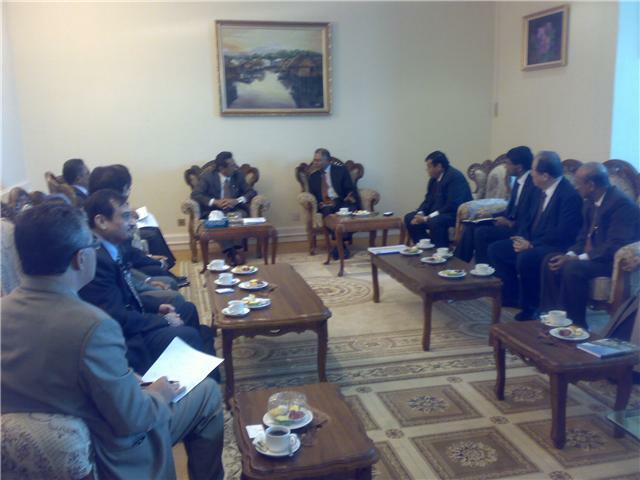 Mr Ashok K. Kantha and members of Consortium of Indian Industries in Malaysia (CIIM) delegation. Meeting of H.E.Mr. 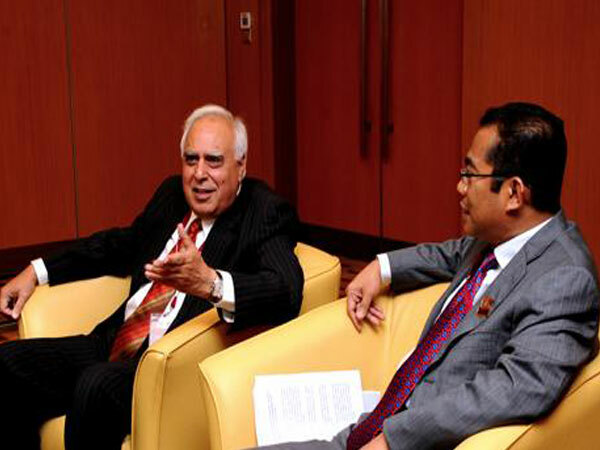 Kapil Sibal, Hon'ble Minister of Human Resources Development, with Dato' Seri Mohamed Khalid Nordin, Hon'ble Minister of Higher Education of Malaysia on 17 June 2009 at the sidelines of the 17th Conference of Commonwealth Education Ministers held in Kuala Lumpur. 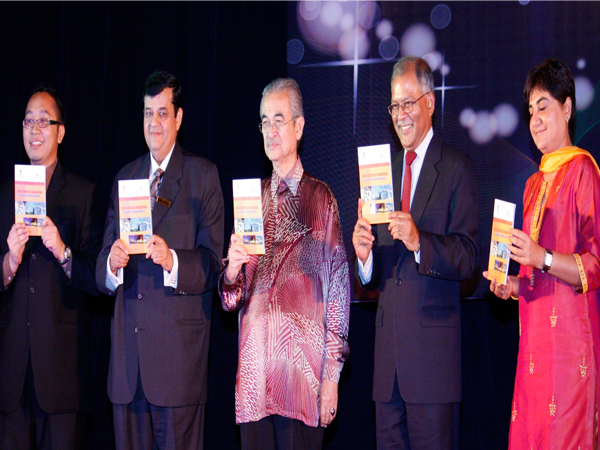 Hon'ble Tun Abdullah Ahmad Badawi, former Prime Minister of Malaysia, launching the Handbook titled "Doing Business in Malaysia: Handbook for Indian Business" at the Annual Gala Dinner of Consortium of Indian Industries in Malaysia (CIIM) on 12 October 2009 held at Shargri La Hotel . (Also seen in the picture from right to left - Ms. Neerja, CII Director (Southeast Asia), Mr. Ashok K Kantha, High Commissioner, Hon'ble Tun Abdullah Ahmad Badawi, Mr. Umang Sharma, Chairman , Consortium of Indian Industries in Malaysia and Mr. Faizal, Representative of MIDA). "Pulse of Eternity", an Odissi dance performance by Ramli Ibrahim of Sutra Dance Theatre, Kuala Lumpur and Dali Basu at the High Commission of India, Kuala Lumpur on July 15, 2009. 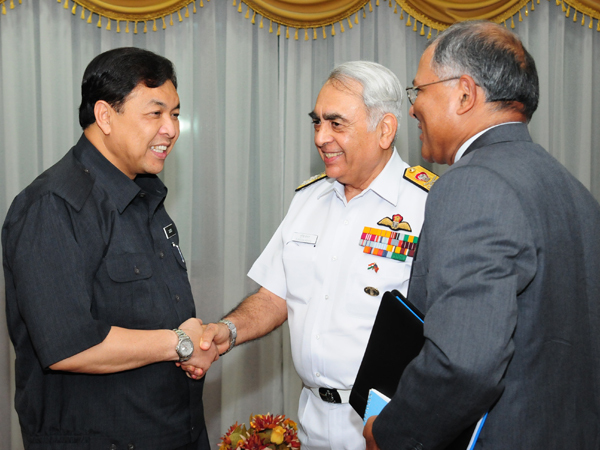 Admiral Sureesh Mehta, Chairman Chiefs of Staff Committee of India meeting with Dato' Seri Dr. Ahmad Zahid bin Hamidi, Defence Minister of Malaysia during his visit to Malaysia from May 26-28, 2009. Also seen is High Commissioner of India HE Mr. Ashok K. Kantha. 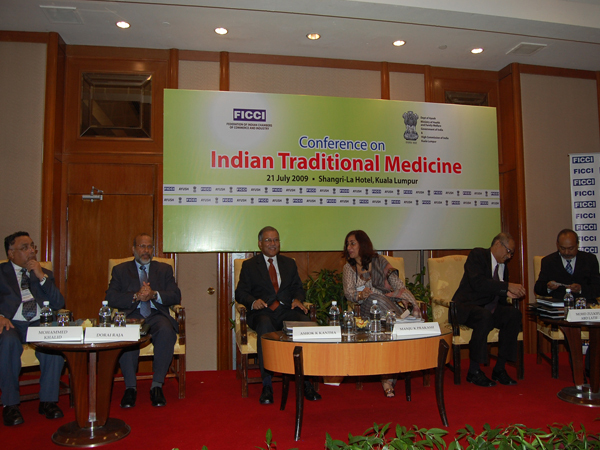 The launch of the Conference on Indian Traditional Medicine and Buyer-Seller Meet held at Shangri La Hostel, Kuala Lumpur on 21 July 2009. Seen in the picture are from left to right are Dr. Mohammed Khalid, DG, Central Council for Research in Unani Medicine of India, Dato' Dorai Raja, President of Malaysian Association of Indian Traditional Medicine, High Commissioner of India Mr. Ashok K Kantha, Dr. Manju K Prakash, Head of ASEAN Division of FICCI, Mr. Mohd Zulkifli, Representative of the Malaysian Ministry of Health and Mr. Sanjay Srivastava, Director, Maharishi Ayurveda representing the Indian business delegation. High Commissioner Mr. Ashok K Kantha and a delegation of Consortium of Indian Industries in Malaysia (CIIM) led by its Chairman Mr. Umang Sharma (4th from right) meeting the Chief Minsiter of Penang Hon'ble Mr. Lim Guan Eng (4th from right) and Deputy Minister Prof Dr. P. Ramasamy (5th from right) on 5 October 2009 at the KOMTAR Office. 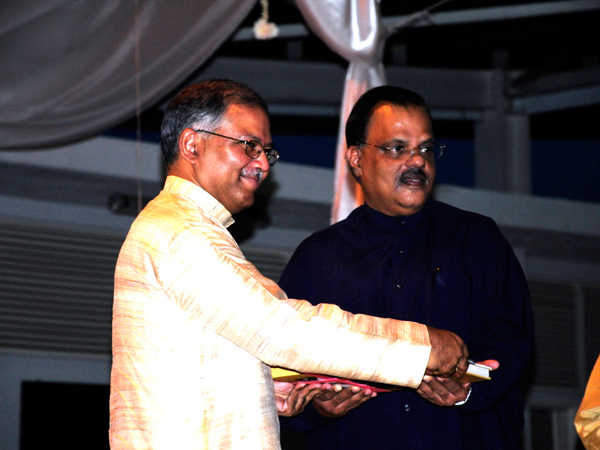 Picture showing High Commissioner HE Mr Ashok K.Kantha presenting books to Mr Subhas Chandran ,Deputy President, Temple of Fine Arts, on 6th April 2009. H.E. 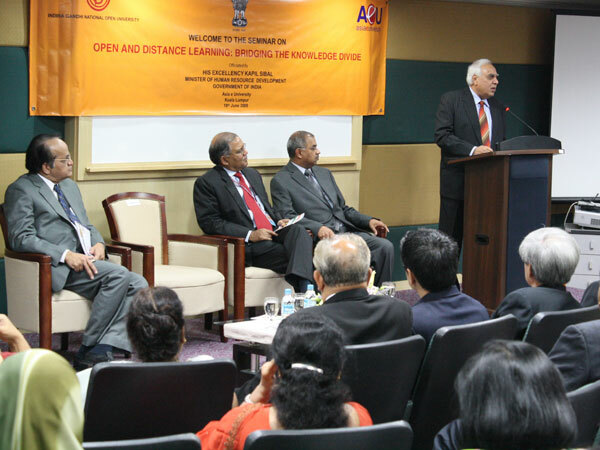 Mr. Kapil Sibal, Hon'ble Minister of Human Resource Development of India, delivering the key note speech at the launch of a Seminar titled "Open and Distance Learning - Bridging the Knowledge Divide' jointly organised by the Asia e University (AeU), Kuala Lumpur and Indira Gandhi National Open University (IGNOU), New Delhi on 18 June 2009. 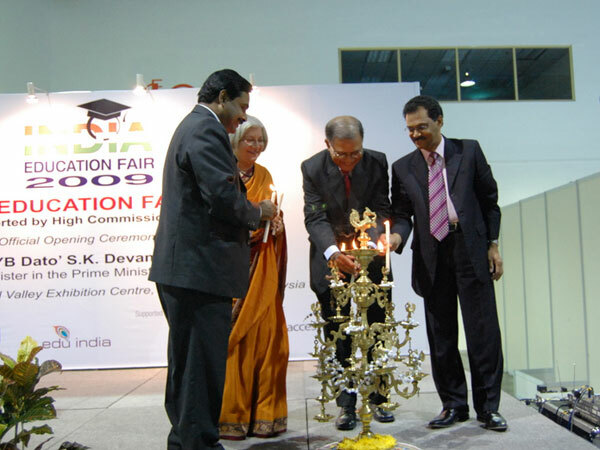 Hon'ble Dato' S.K.Devamany (right), Deputy Minister in Prime Minister Department, inaugurating the India Education Fair 2009 on 20 June 2009 at Mid Valley Exhition Centre, Kuala Lumpur. Also seen in the picture are Mr. Ashok K Kantha, High Commissioner of India , Ms. Anju Banerjee, CMD of EdCIL and a representative of CII. 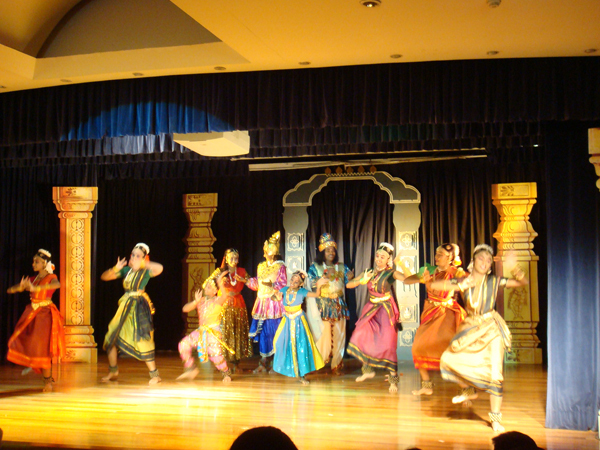 A Scene from the Tamil Dance Drama - Shivagamy Sabatam - staged by the High Commission of India in association with Tanjai Kamala Indira Dance School, Kuala Lumpur, on Saturday, 11 April 2009. 'Incredible India-IATO Road Show' organized by IndiaToursim held in Kuala Lumpur on 2 March 2009 in which an 18-member Indian Tour Operators Organization (IATO) interacted with partners from Malaysian tour and travel operators. 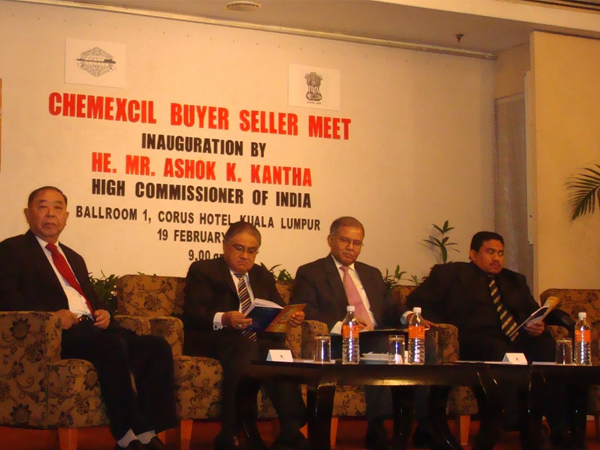 Inauguration of the CHEMEXCIL Buyer-Seller Meet (BSM) for twenty-one Indian business delegation held on 19 February 2009 at Kuala Lumpur. 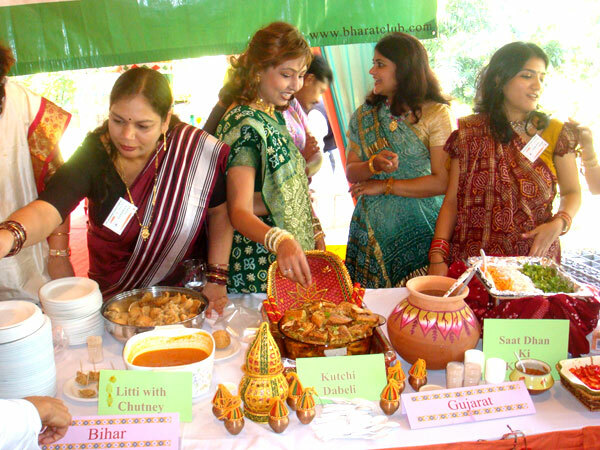 Exhibition of traditional provincial dishes of India at a function held at India House jointly by the High Commission of India and Bharat Kelab Ladies' Wing on 18 February 2009. 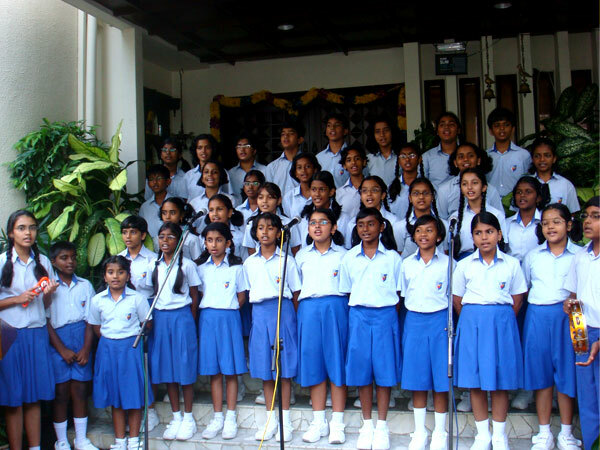 Children from the Global Indian International School singing patriotic songs at the Republic Day Flag Hoisting function held at India House on 26 January 2009. The Prime Minister, H.E. 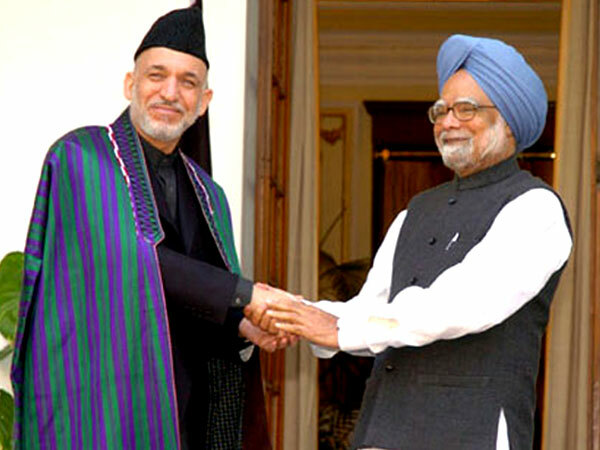 Dr. Manmohan Singh meeting the President of the Islamic Republic of Afghanistan, H.E. Mr. Hamid Karzai, in New Delhi on January 12, 2009.